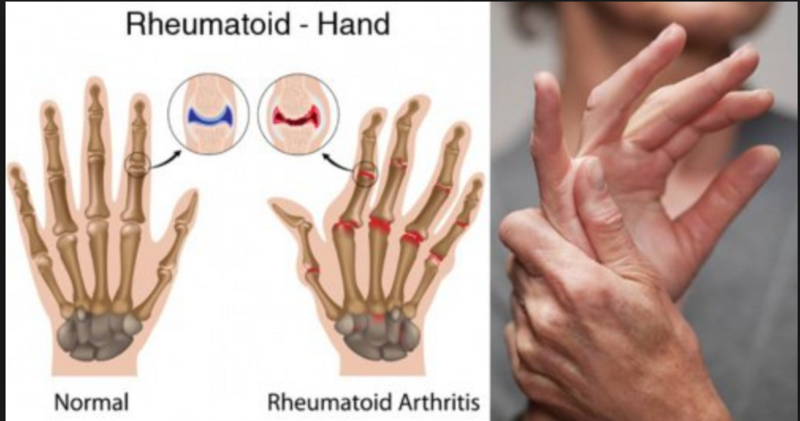 Rheumatoid Arthritis (RA) is the most common form of autoimmune arthritis, affecting more than 1.3 million Americans. Of these, about 75 percent are women. In fact, 1–3 percent of women may get rheumatoid arthritis in their lifetime. The disease most often begins between the fourth and sixth decades of life. However, RA can start at any age. RA is an autoimmune disease. This means that certain cells of the immune system do not work properly and start attacking healthy tissues — the joints in RA. The cause of RA is not known. Yet, new research is giving us a better idea of what makes the immune system attack the body and create inflammation. In RA, the focus of the inflammation is in the synovium, the tissue that lines the joint. Immune cells release inflammation-causing chemicals. These chemicals can damage cartilage (the tissue that cushions between joints) and bone. Other things likely play a role in RA as well. For instance, genes that affect the immune system may make some people more prone to getting RA. RA can be hard to detect because it may begin with subtle symptoms, such as achy joints or a little stiffness in the morning. Also, many diseases behave like RA early on. For this reason, if you or your primary care physician thinks you have RA, you should see a rheumatologist. A rheumatologist is a physician with the skill and knowledge to reach a correct diagnosis of RA and to make the most suitable treatment plan. A promising treatment for the inflammatory and pain associated with RA is IV Ketamine Infusion Treatment. IV Ketamine can be given in a series of visits and results have been very positive, with patients reporting a large reduction in pain as well as less swelling and inflammation.